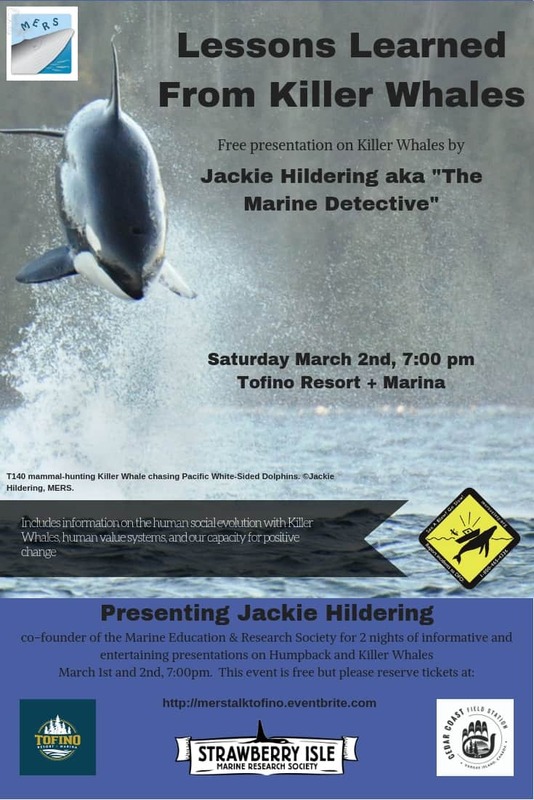 Please join us for two free lectures by Jackie Hildering (aka The Marine Detective) from the Marine Education & Research Society! In this presentation, Jackie will trace back the human social evolution with Killer Whales, discussing how these whales are powerful indicators of human value systems. It will be all about capacity for positive change and common solutions to socio-environmental problems. And yes, she will discuss the dilemma of naming them “Killer Whales” vs. “Orca”.